Sensible dance instructor Tessa Gage likes her life organized, risk-free and on her own terms. When her cop brother goes missing, his crooked partner tries to kill her, and a handsome stranger claims he’s come to protect her, she’s forced to leave her comfort zone. With more dance and business sense than survival skills and no idea who to trust, Tessa has no choice but to rely on this man who’d rather be anywhere but by her side. When carefree carpenter Matt Rylan gets a late night call from an Army buddy who once saved his life, he finds himself where he never again wanted to be—responsible for someone else. Honor demands Matt cooperate, but he never expects his simple babysitting job to test the limits of his self-control. Nor does he expect it to explode into a race against time for his very freedom. As Tessa and Matt get closer to the truth, and to each other, Tessa learns to step outside the safety of her world to help set the wheels of justice in motion. For Matt, supporting this courageous woman suddenly becomes everything to him. Yet, his biggest challenge remains sharing his closed-off heart with her before the danger silences them both forever. Sounds pretty good, huh? Well, let me tell you. This book had a rocky beginning. It was my second romantic suspense manuscript ever. When I first wrote it almost 10 years ago I was still a newbie to the proper writing process. Yes, I’d written tons of fun stories for my friends and myself throughout my life, but at that point a decade ago I wanted to become a published author. I wanted to share my characters, their struggles and their journeys to true love with the world. When I finished the story, I began submitting it and quickly found out I still had a lot to learn about the craft of writing. I put it away and when I learned something new over the years I’d pull it out and revise it. I really believed in it. Still, something was missing. And one night I figured out what it was. I remember sitting on my couch thinking about my heroine, Tessa, and how I could make her more realistic. I decided to put myself in her shoes. What would I think if one of my own brothers disappeared? How would I react when a strange man came to my door claiming to be on my side and who refused to let me call the police? I’d be scared to trust him, just as Tessa is afraid to believe in Matt. Would I be able to search for my brother or would I be terrified to participate in case someone came after me? Writing the rest of the story with this mentality opened up an amazing experience for me and my writing. (And a newfound appreciation for my brothers!) I was able to get inside my characters on a whole new level, one I hadn’t been privy to before. Many other stories came and went through the years, but I couldn’t give up on this one. I believed in the intense connection I’d created between Matt and Tessa and I was determined to find a publisher willing to take a chance on this story and me. If you read it I hope you think it was worth it. I hope you’ll follow me this coming week. 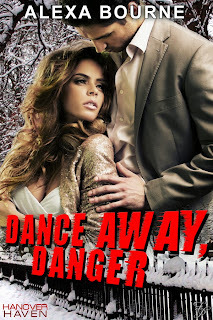 I’m touring several blogs and sharing something different about Dance Away, Danger each day. If you leave comments anywhere along the way, you’ll be in the running for a Dance Away, Danger prize pack! Congrats on your release! 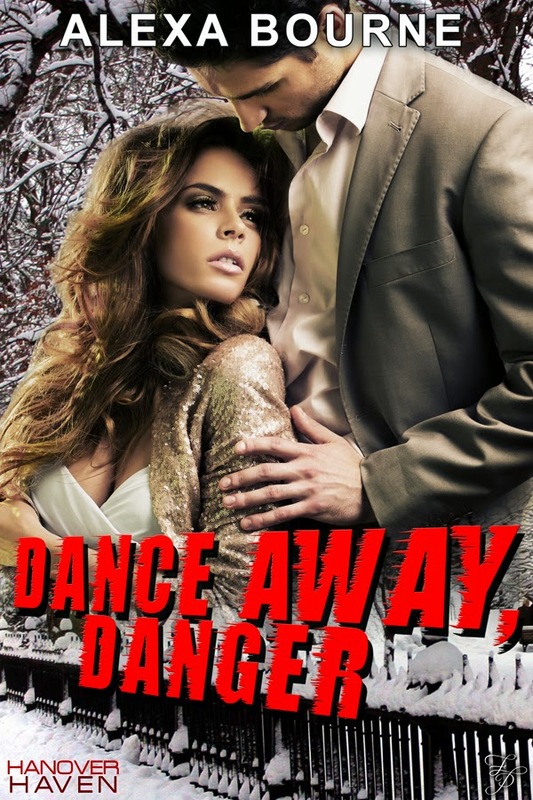 Enjoyed what you have shared of Dance Away, Danger! Liking what I see! Congratulations on your book Alexa! Congratulations on your release! I really enjoyed reading your post. It's so fun to read 'insider info' about the author and their work. Brooke, Danger has had such a swirly road to publication I just want to share that with everyone! I'm so proud the characters worked with me so we could get it published! Congratulations Lexi! Thank you for sharing your story about your dedication to this story and your commitment to writing. We newbs need these stories to keep on going. Good luck with the release!